FarEye, a logistics technology solutions firm, has signed a contract with Amway India to help increase the visibility of deliveries of customer orders for the direct selling company. To begin with, FarEye will provide Amway India with visibility into the order delivery process right from the time products move out of the fulfilment centres until they reach the customer or direct seller with the help of third-party logistics partners (3PL). The FarEye logistics platform helps 3PL partners with the most efficient routing plan and delivery process. Simultaneously, the delivery teams keep the customer or direct seller engaged by text messaging the status of the shipment through their handheld devices. The device which works well even in 2G environment delivers preset messages indicating shipment location and expected time of delivery. “We deal with multiple third-party logistics partners and understand that getting real time visibility on the product delivery can be cumbersome. FarEye's technology helps us on this account,” says Diptarag Bhattacharjee, Chief Operating Officer, Amway India. FarEye's platform lets Amway cut down the delivery cycle time as well as evaluate 3PL partners based on their on-the-ground performance--separating the star performers from the laggards. “Engaging customer journeys while maintaining costs are crucial for both retailers and e-tailers. To ensure consistent customer experience most retailers are outsourcing logistics. With mobility solutions, retailers can ensure that their 3PL partners are providing the desired experience,” says Kushal Nahata, Co-founder and CEO, FarEye. FarEye, the logistics technology platform, serves customers in Asia Pacific, Northern Africa, Oceania, South Asia, Western Asia and Europe through its offices in Singapore, Dubai and India. 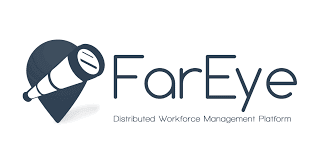 FarEye’s mobile platform transforms enterprise operations by providing real-time visibility on the field workforce. FarEye’s intuitive dashboard delivers transparency into operations to CXOs who can then better serve their customers. This empowers the enterprises to build a competitive advantage by improving agility. FarEye’s route optimization feature coupled with its Business Process Management capability significantly improves the responsiveness of its client companies. FarEye counts aCommerce, leading e-com service provider in South East Asia; Namshi.com, e-com player from Middle East (Bahrain, Kuwait, Oman, Qatar, Saudi Arabia and the UAE); Maraxpress, a West Asian e-com firm; Zalora, online fashion retailer spread across Asia Pacific; Australia’s National Product Fulfilment and Belgian postal service TBC Post among others as its customers. FarEye’s global customers in India--BlueDart-DHL and Walmart among others--helped strengthen its leadership position in express logistics segment with over a million shipments a day.